Liverpool Football Club tried their luck at prizing Southampton right-back Nathaniel Clyne to Anfield by tabling an official bid of £10m this week but, rather unsurprisingly, the Saints were uninterested in accepting the offer. Read the latest Liverpool transfer gossip! It was confirmed by BBC Sport that Liverpool had their opening offer instantly rejected by the Saints, as the club search for a replacement to Glen Johnson. According to the report, the Merseyside club will return with an improved offer for the England international – whose contract expires next summer. BBC Sport claim that Manchester City’s James Milner and Burnley’s Danny Ings, along with Clyne, are at the top of Brendan Rodgers’ transfer wish-list ahead of the summer window. Though little progress looks to have been made over the signing of the trio, other than the embarrassment of having their initial offer for the latter publicly rejected. 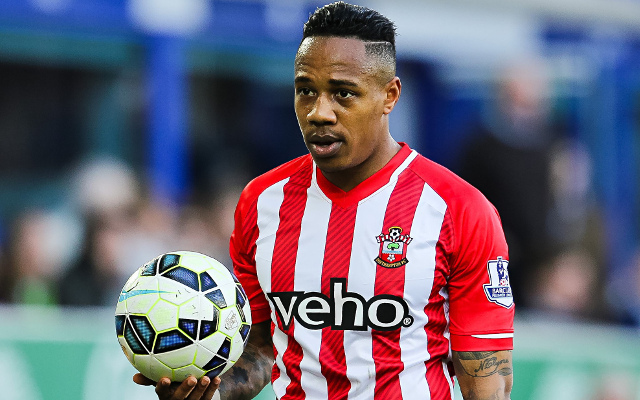 Many Twitter users believe that the offer of £10m is an insult to a player of Clyne’s quality, and have questioned whether Anfield would be a good move for his development. On the basis someone at Liverpool thought Dejan Lovren was worth £20m suspect Southampton’s asking price for Nathaniel Clyne might be £75m. Clyne would be better off staying at Saints with Koeman and developing under him than going to Liverpool under Rodgers. I don’t see why @Nathaniel_Clyne would want to go to Liverpool? Lallana and Lovren are proof that the grass ain’t always greener. Sideways.